This is my second pair of Pink Lens and they are def growing on me LOL :P As with anyone who hears the color Pink in your eyes you think they will look silly and super fake but having dark brown eyes and adding the hint of pink it looks really pretty in a purply brown shade which I am really liking! I usually wear all my contact lens for good 6-8 hours since I have bad vision and wear glasses while at home so while I was wearing them I felt that they are fairly comfortable for 14.5mm lens,, but seems like this lens made my eyes dry so I use Rohto eyes drops at least once a day to keep my eyes from feeling dry and red but other than that they feel natural in my eyes. *if you are contact wearer I do highly recommend to apply eye drop now and then to lubricate your the eyes, I recommend Rohto eye drops! 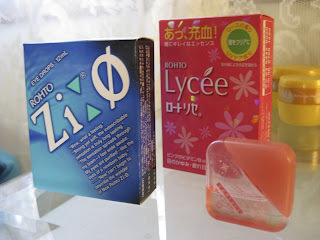 you can get imported from Japan Rohto or you can get Rohto brand that is rebranded for US at most major retailers. Great pics eki :) Your hair is looking great! Thank you for addressing the NYT article - it brings a clearer side to their skewed presentation. HAHAHHA the "ice cubes in your eye" made me laugh. Pink lenses are so pretty! The Rohto drops sounds cool though, they even have "levels" of coolness ahahaha... I've never worn contacts before, but I want to~ When I'm brave enough to put things in my eyes I will def buy pink lenses :3 Also, my prescription is pretty light and I keep it that way by not wearing glasses most of the time... Seems to be helping, because my prescription hasn't changed since I first got it :O yay! haha even though this is a contacts lens post I am just staring at your hair<3! The contacts looks so beautiful on you!! hi eki,looking lovely,thx for the review.looking forward to your review for the skin79 bb cream,cause i just bought that product. Very pretty Eki, I love your new pink lenses :) it looks so girly and dreamy. i had actually bought mine right before that article had came out and they came in the mail that same day i watched a report on circle lens on tv. i was like omg what!? they so scared me for a second. but i had already went to the doctor and i take really good care of my contacts but that report scared me i couldn't put them in lol. total chicken but i man'd up and i love them they give me no problems at all. thanks so much for this post!!!! You hair is so pretty!!! that's a stunning colour! 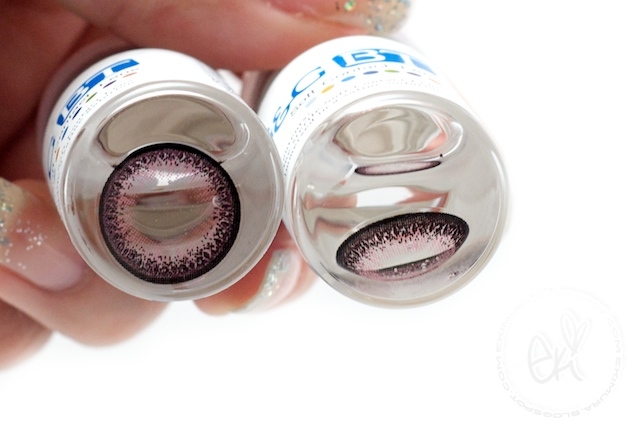 i can't wait to order my pink lens! ice cubes in yo eyes. i was curious about circle lens too. i want to try some, but nahhs. not now. probably when i go get a check-up and ask them about it. but then again, my eye-sight isn't that bad. =.="
i don't know, but back to the topic! This NY article has been creating quite a stir all over! *sigh* It'd be a great informative article if it wasn't soo one sided. But you gave great tips! The lens look absolutely gorgeous on you! I appreciate the comments about drying out. That's my biggest complaint on lens and I was really considering these especially. Looking forward to more reviews. Also you brought up wonderful argument points about the NYT article. Lovely job! You are way too gorgeous Eki! Amazing post & review as always dear! The pink color looks so pretty! After reading that NY Times article I had some second thoughts about trying out circle lenses. But I didn't realize they are approved by the KFDA; that makes me feel a bit more reassured now in purchasing them. Thanks! Hmm they do look a bit odd in the closeups, but the face photos look great! 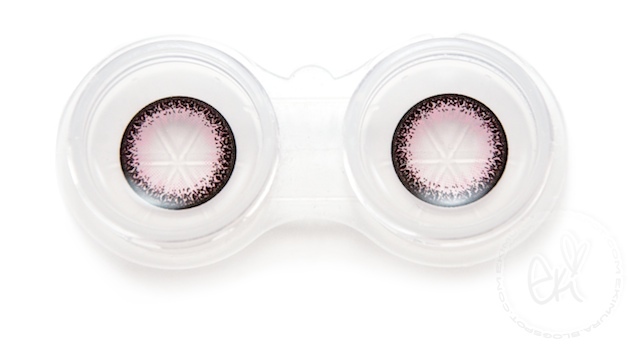 do you like these better than the max pure pink lenses? i'm trying to figure out which one looks more natural - i saw they're both available pinky paradise...maybe i should just order both? lol. Eki I love your hair! How do you get your fringe/bangs to stay so nicely swept to the side? Do you use rollers / special kind of wax? they are bit odd but not so noticeable in person XD thanks! >_< I get LOT of help from makeup and circle lens LOL but thank you for the sweet message! thanks! i actually did get the max pure pink ones, and you're right...they look really natural. love them. :) thanks so much for responding! love your blog!!! you are sooo dolly. what lenses DON'T look good on you? i like this hair color. can u tell me the brand and the color number that u've used in this photo? And what hair color did you have before that one? Can you show me, please? I looked through your blog to find the color, but I am very confused still because of lighting in pictures so I don't know which one it is. how to order lens? and how much?? Actually I got a serious allergic and eye infection in my eyes therefore my eye specialist suggest me to use only prescribed contact lenses. That’s the reason I cannot wear any colorful contact lenses like pink contact lens as it might affect my eyes drastically. But if someone wants to wear colorful or Halloween contact lenses then they can visit http://www.contactlensheaven.com/halloween-contact-lenses.html where you can grab each and every type of eye products and accessories that too at reasonable price.